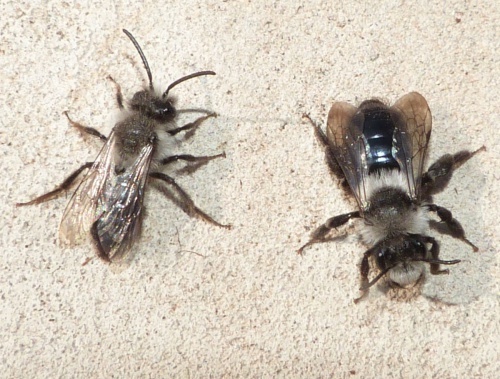 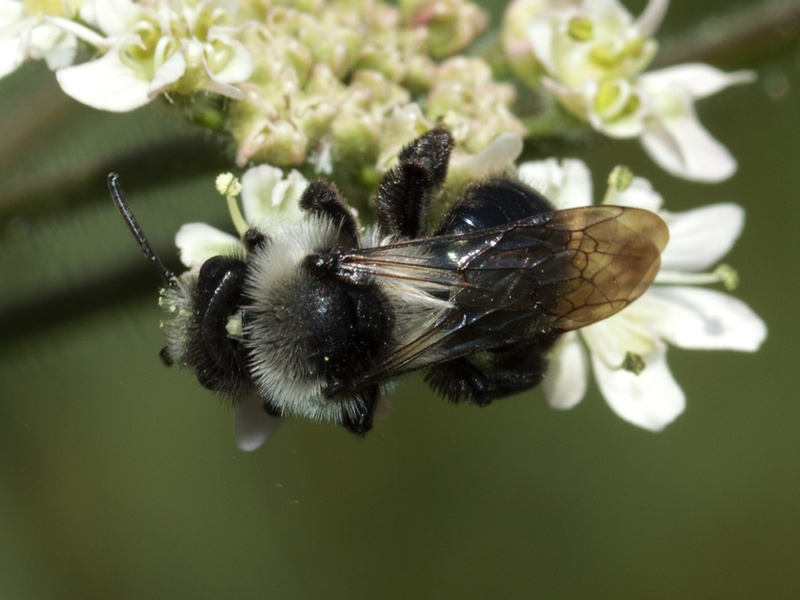 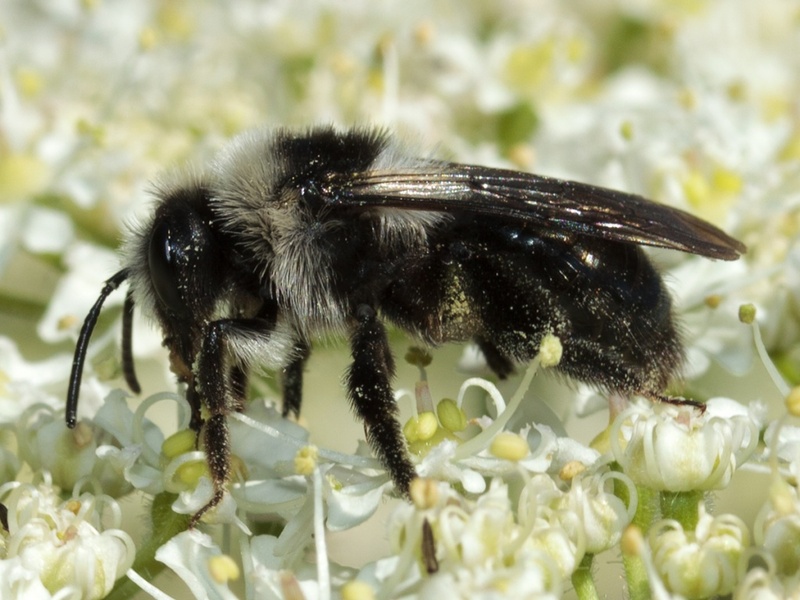 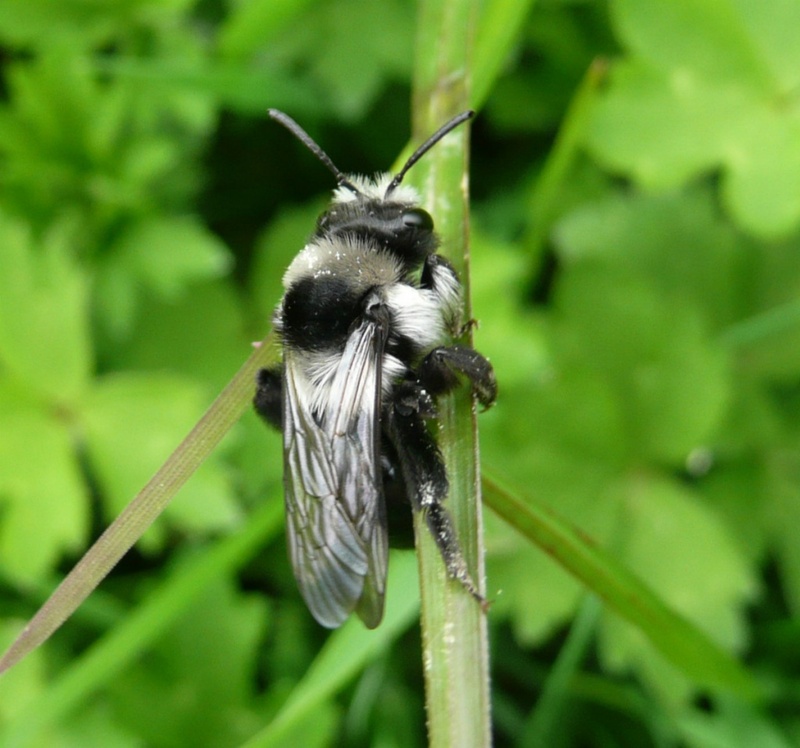 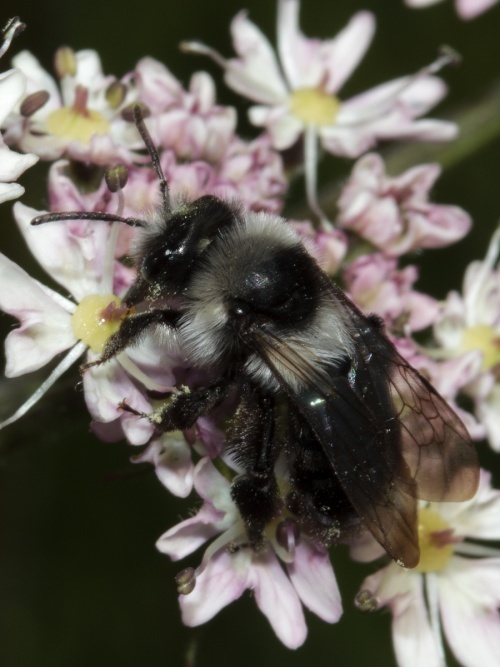 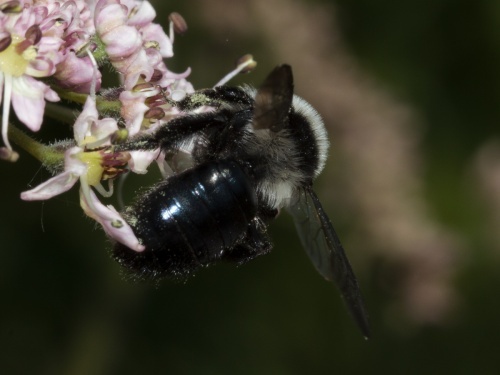 The females are black, and have two broad ashy-grey hair bands across the thorax. 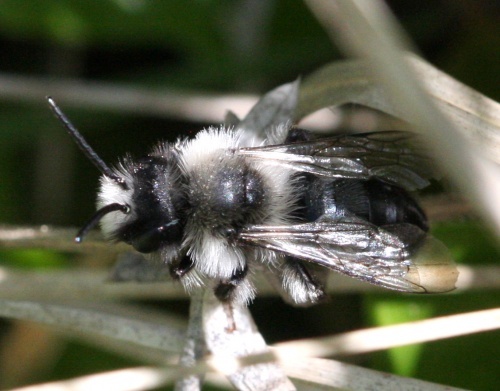 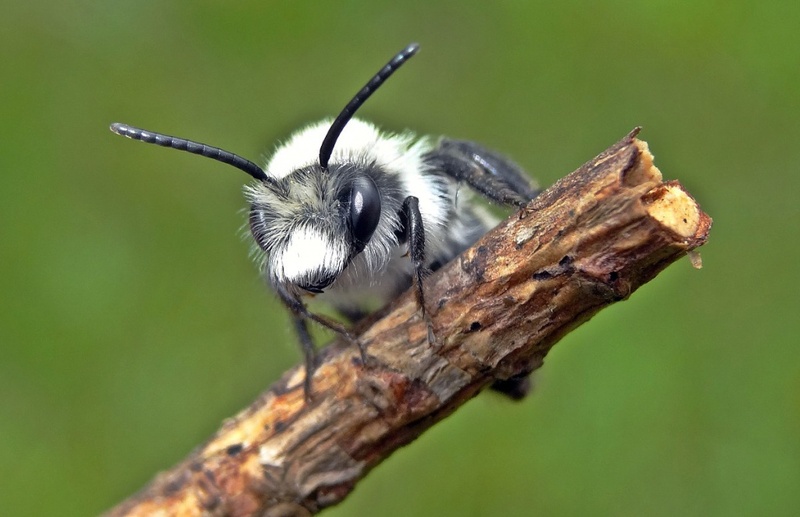 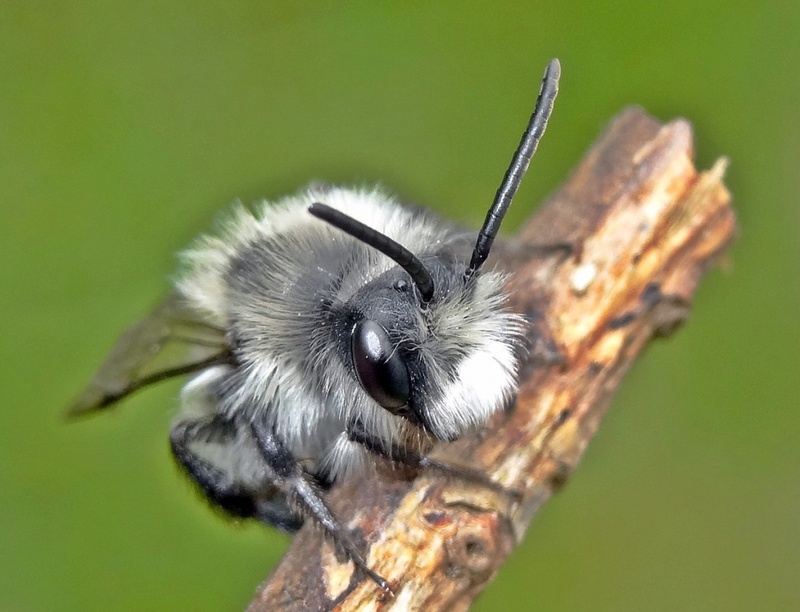 The males are similar, but the thorax is entirely clothed with less dense grey hairs, and has a very pronounced tuft of white hairs on the lower face. 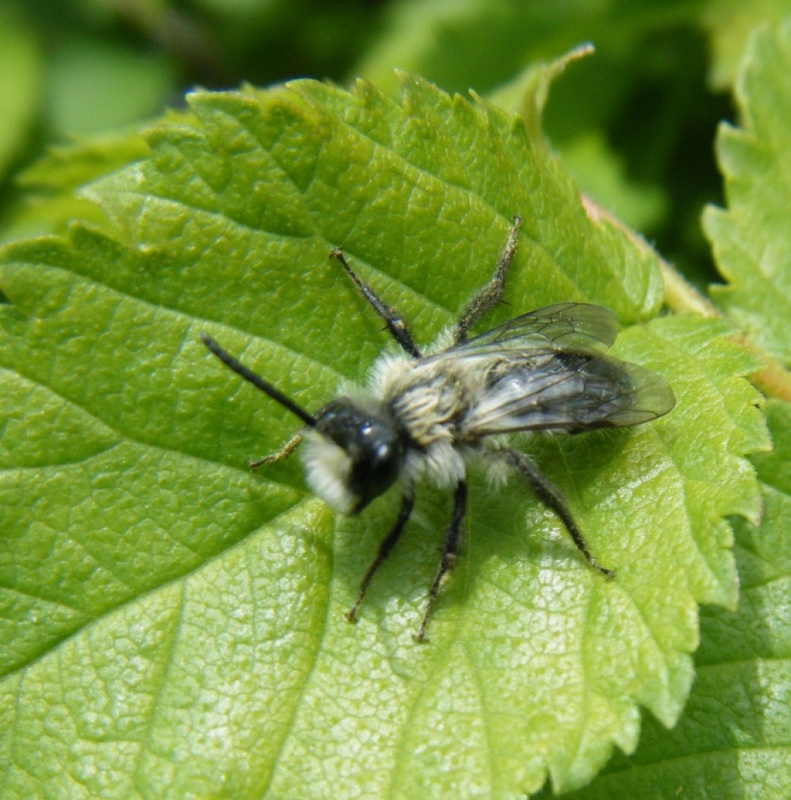 The male has white hairs on all femora; the female has white hairs only on front femora. Around nest sites such as sandy banks. 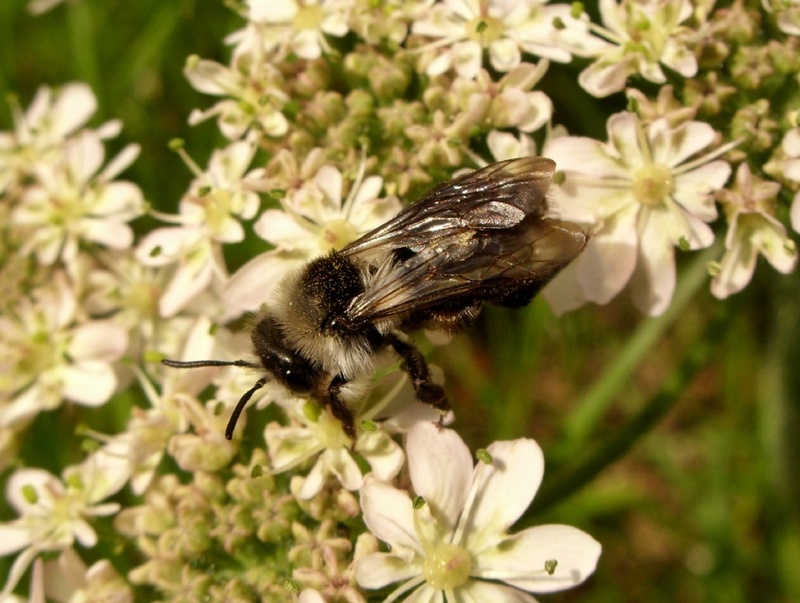 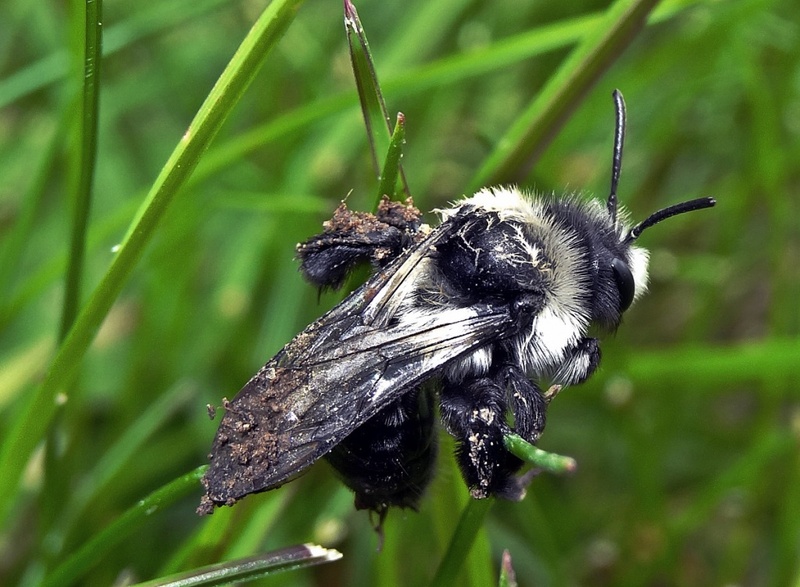 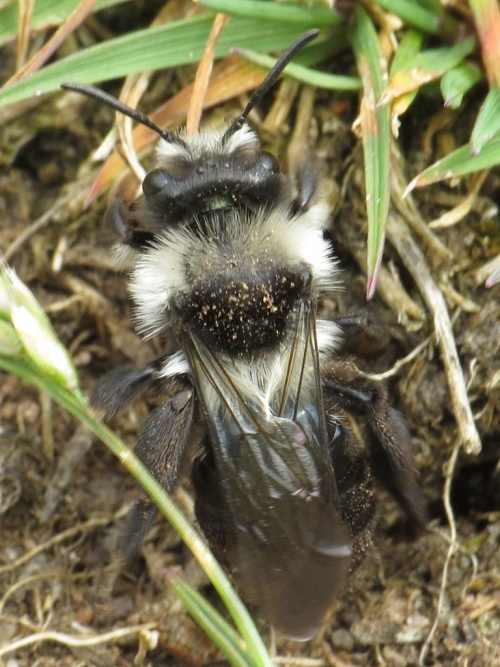 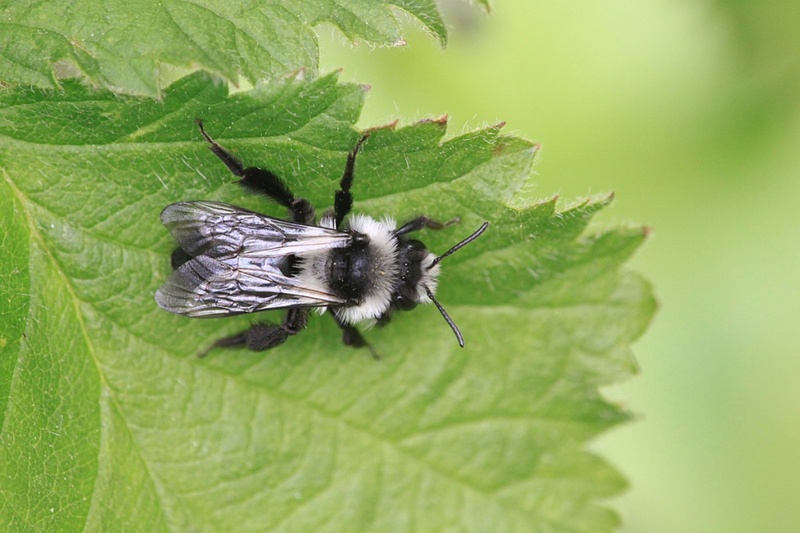 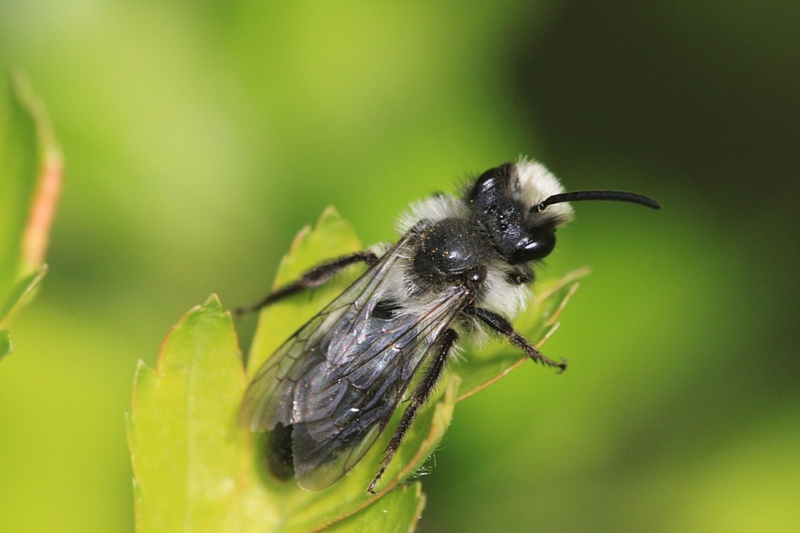 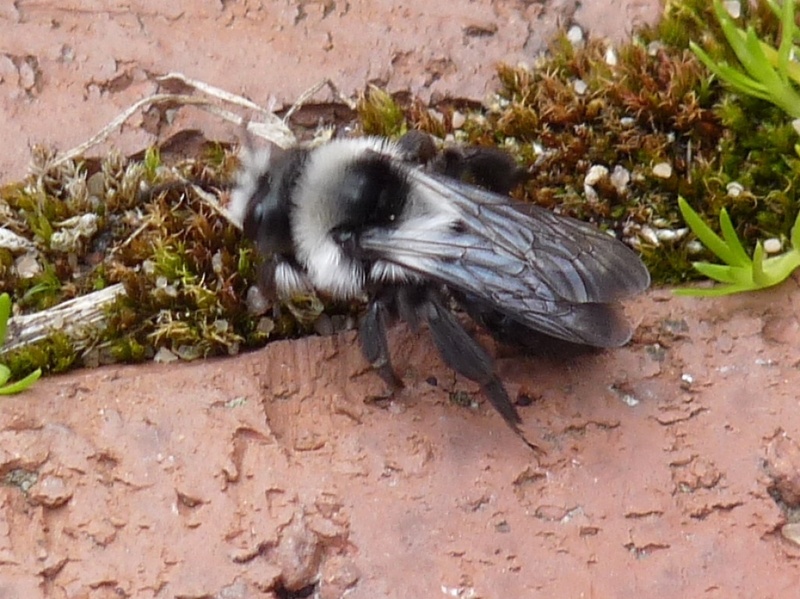 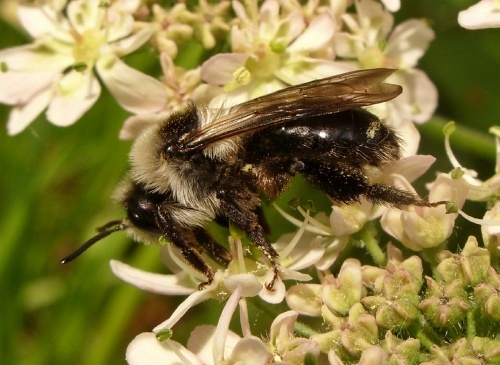 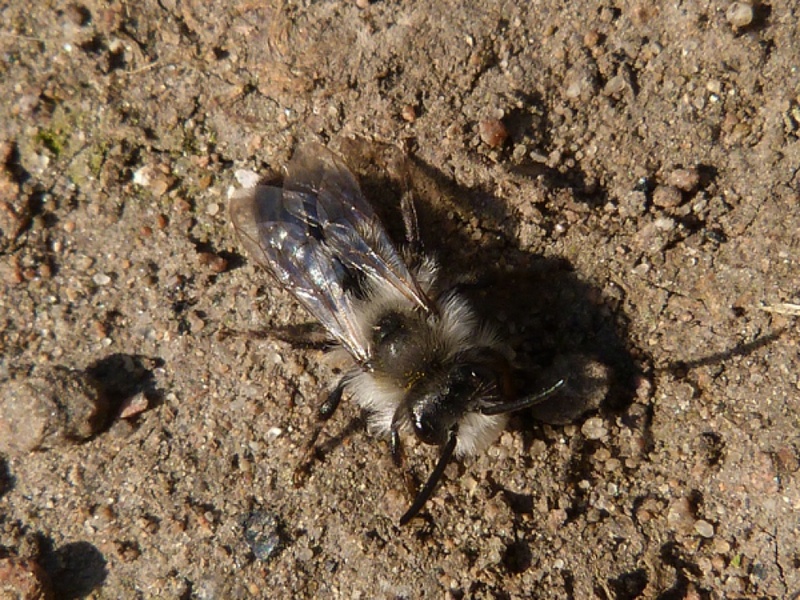 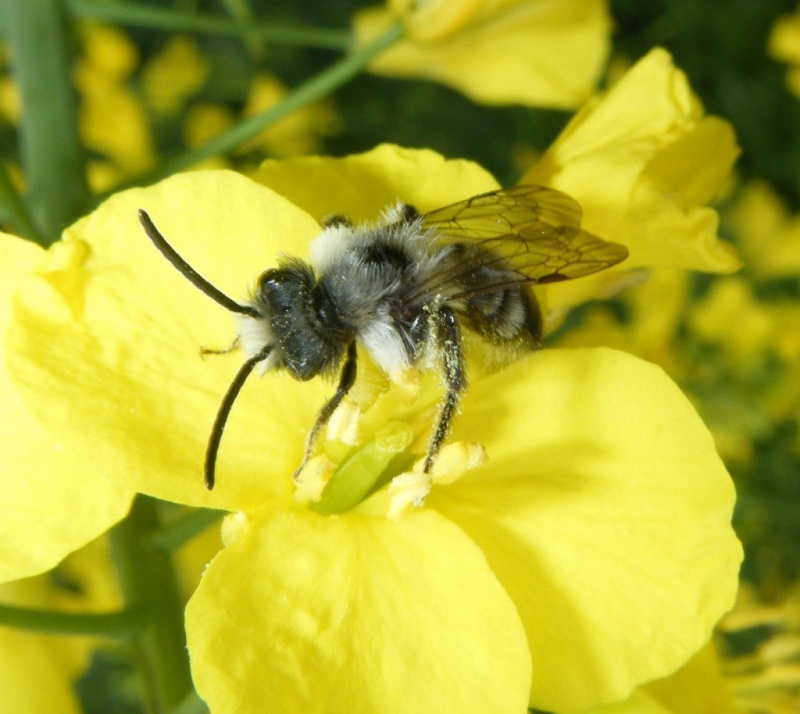 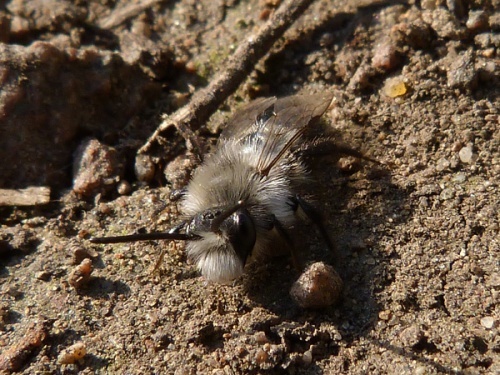 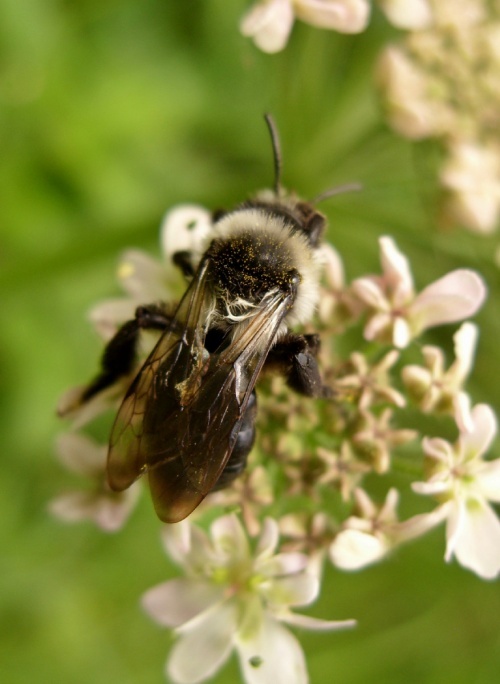 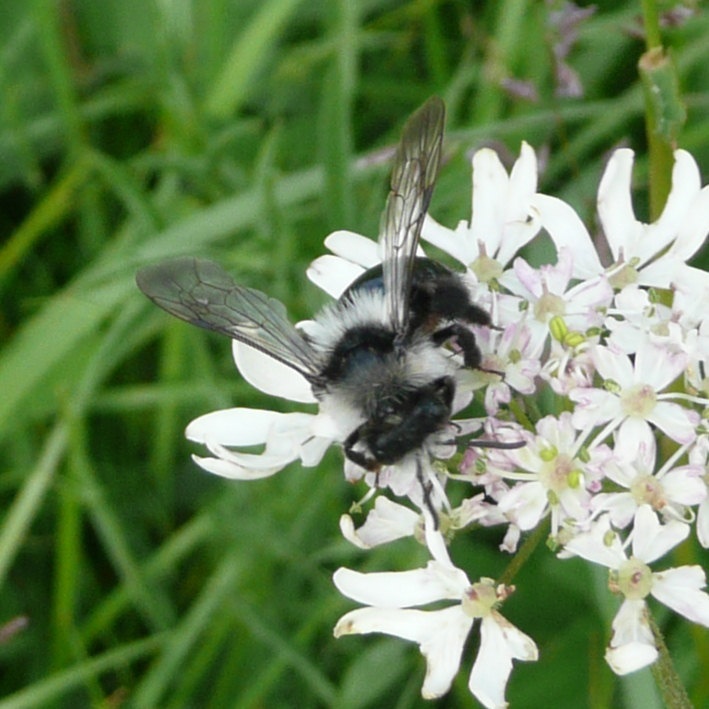 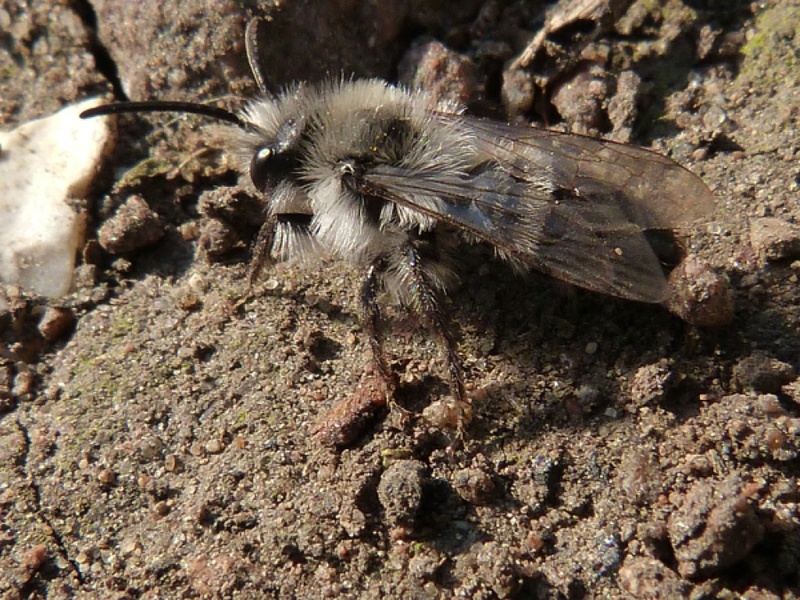 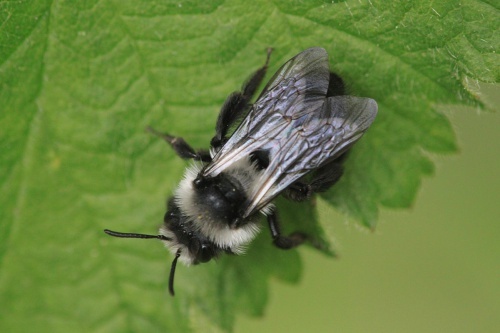 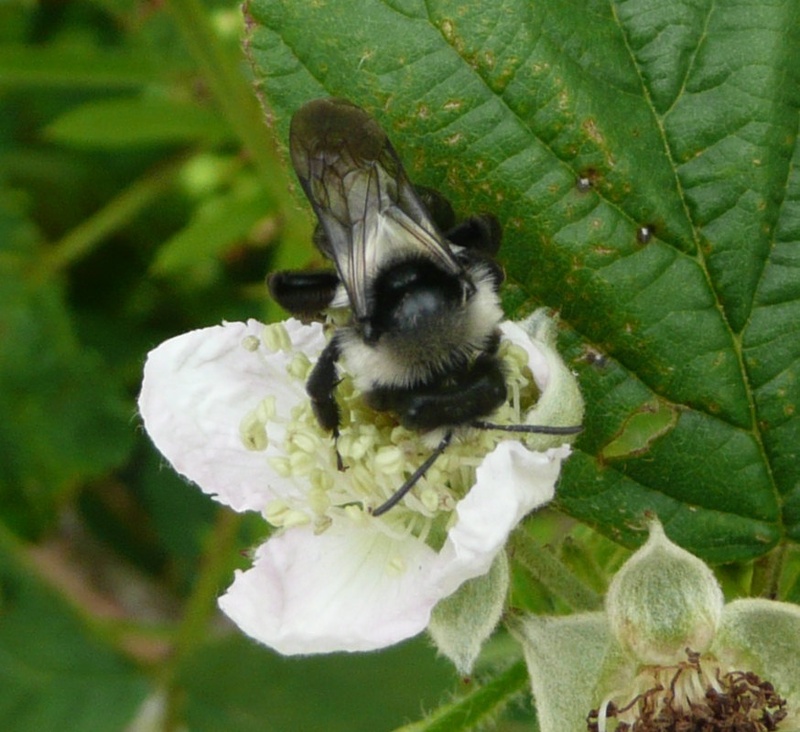 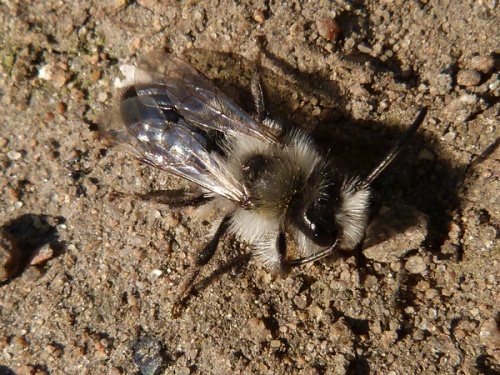 This bee has a single flight period each year and is on the wing from early April until early June; the males emerging well before the females. 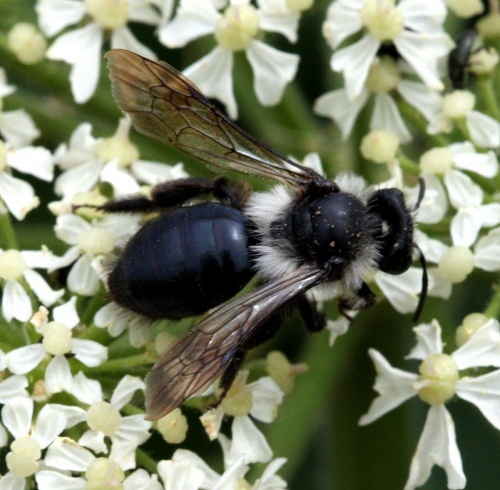 Peak activity coincides with the flowering periods of fruit trees such as pear, cherry and apple. 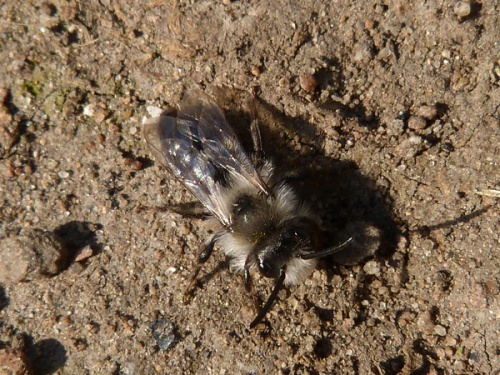 Although a solitary species, large aggregations can sometimes nest in one area.